"The evidence is very strong that the psychological and physical harm done to these magnificent animals far outweighs any benefits reaped from their display," said California Representative Adam Schiff. The California-based amusement park SeaWorld is continuing to face overwhelmingly negative publicity. Initially sparked by 2013 documentary film “Blackfish, which accused the park of abusing and neglecting the whales it held prisoner, SeaWorld is seeing ever decreasing attendance rates and possible legal troubles. The number of visitors declined sharply after the release of the film, although, SeaWorld executives say that the fall in attendance is starting to level off. Unfortunately, ticket sales may now be the least of the parks woes. United States Congressman Adam Schiff (Democrat, Burbank) recently announced a new bill that would phase out the legality of using killer whales for entertainment purposes. Furthermore, the legislation would ban the breeding of captive orcas, the capture of wild orcas, and the import/export of orcas. “The evidence is very strong that the psychological and physical harm done to these magnificent animals far outweighs any benefits reaped from their display,” said Representative Schiff. If the new law passes, the orca performances across the US would eventually cease to exist, having only until the last currently captive whale died to continue to operate. SeaWorld San Diego, for instance, has 10 killer whales ranging from 10 months to 50 year of age, meaning that in theory the park could continue to have shows for decades to come. There are three SeaWorld parks across the country with a total of 24 captive whales. The Miami Seaquarium has one orca. In response to the proposed bill, a representative from SeaWorld Entertainment Inc. hastened to issue a statement claiming that the company in no way abused its marine life. “Through our work with scientists, conservation leaders, and the government SeaWorld is ensuring that all animals in human care are treated with the dignity and respect they require and deserve,” said Jill Kermes, a spokeswoman for SeaWorld Entertainment. In addition to opposition from the parks themselves, the proposed legislation faces opposition from the Alliance of Marine Mammal Parks and Aquariums, who argue that facilities that have captive whales, such as SeaWorld, are invaluable assets for researching the animals and for promoting public appreciation of marine life. “Each generation can benefit from the opportunity to see these animals in person,” said Kathleen Dezio, executive director of the Alliance. 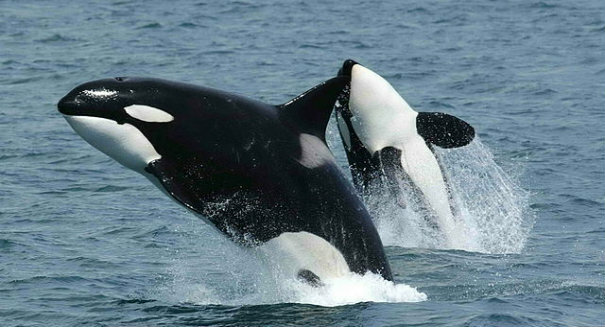 No killer whale has been caught in US coastal waters since the 1970s and none have been imported since 2001. Most of the new whales are bred in captivity. SeaWorld has tried hard to argue that in order to prevent further breeding, they would have to separate male and female whales- thus separating siblings and parents from offspring and destroying the whales natural sense of community. However, animal rights activists counter that the close inbreeding of captive whales, who due to limited selection often mate with family members, only highlights how terrible captivity is for these whales. Public attitudes towards animals held in captivity has been shifting dramatically over the years. Not only has SeaWorld been hit hard but so have circuses like the Ringling Bros. and Barnum & Bailey Circus, who have announced that they will stop including elephants in their acts by 2018. According to chief executive Alana Feld “many people were getting uncomfortable with elephant acts in captivity”. Unfortunately at the present moment, there is no seaside animal sanctuary large enough to take in all of the currently captive whales, should they be released.